Mini meadow and what you can do with one roll of lawn turf! A mini meadow? I can hear you laughing the moment you read this. And right you are, because my mini meadow is only 40 cm in diameter! The mini meadow is just a silly plan that crossed my mind. 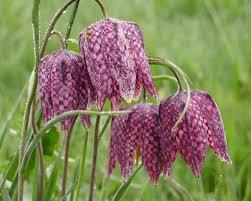 First I planted 50-checkered lily (Frittilaria meleagris) in a container pot. I don’t know whether checkered lily can even grow in a container, but I do not shun the occasional experiment. Checkered lily normally grows in wet meadows. 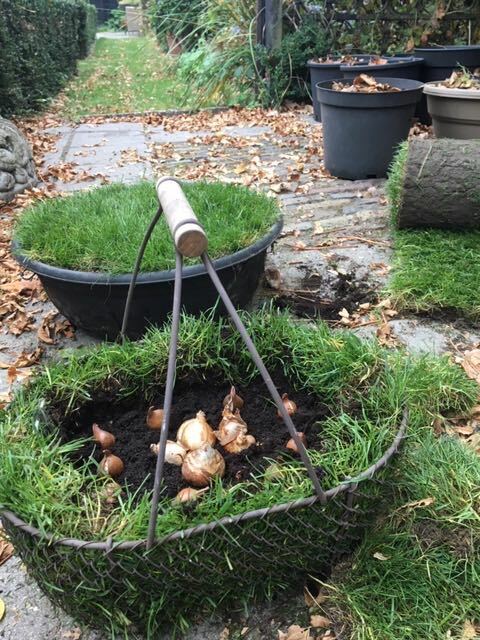 That is why, after I have placed the bulbs in the soil, some lawn turf was laid on top of it. By doing so it becomes a tiny meadow. I place the container on a garden table in order to be able to admire the beautiful drawing of the checkered lily next spring without having to bend over. Will it work? No idea. Some lawn turf has left though. What else can I do with that? I look at my wired basket ....... shall I cover that basket with the remaining turf? There is more than enough left. It is ready in a jiffy. 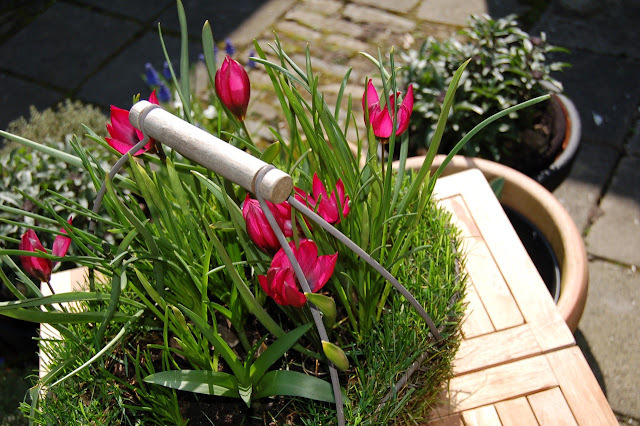 I fill the basket with potting soil and plant some mini daffodils and tulips on top. 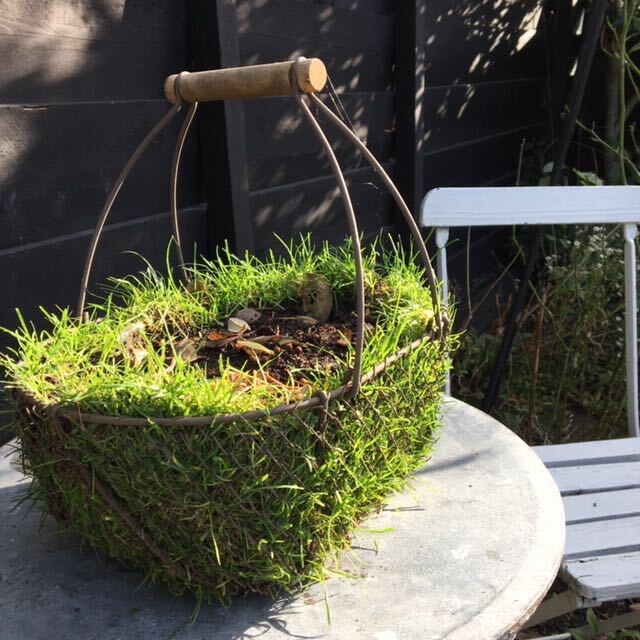 I hope the grass will grow quickly through the wired basket. Next year when the flower bulbs are flowering ... that will be a real eye catcher! Again I have no idea if this will work. But I don’t care, after all, it is all-experimental! Even then there is still some lawn turf left! 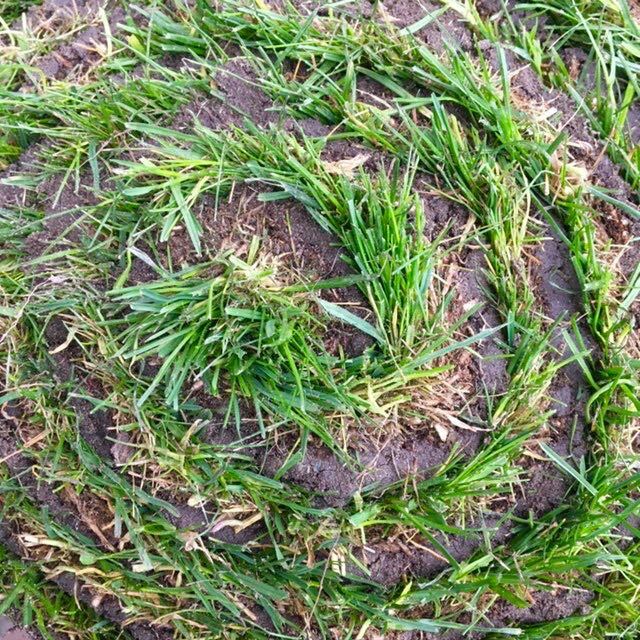 Unbelievable what you can do with one roll of lawn turf. I use the remaining part to improve a bare spot in the lawn. The latter is not an experiment; the grass will certainly grow. 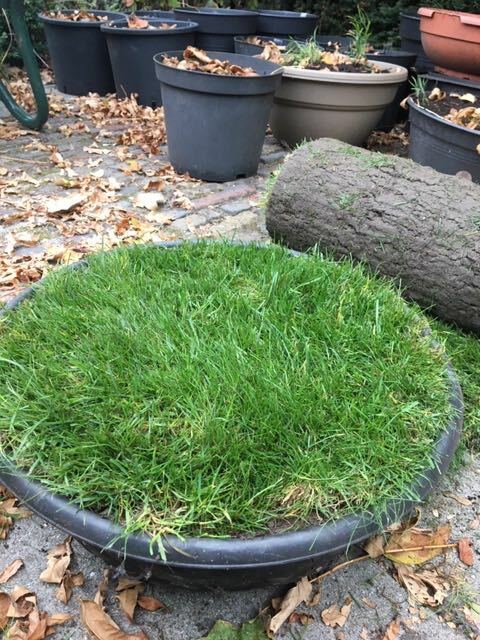 One roll of lawn turf. 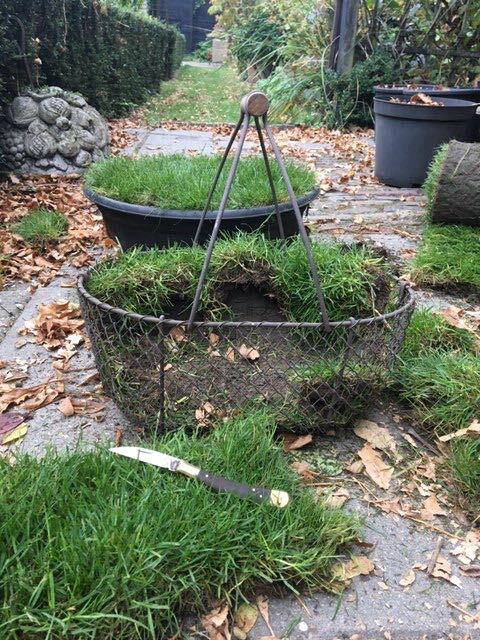 A mini meadow, a covered basket and the lawn repaired. Not bad for three and a half euros! New followers a warm welcome. Next spring it will be an eye catcher! Garden Bloggers Blooms Day, July 2014. Luckily the stormy weather of last week has ended. The garden looks devastated with ripped off branches and foliage. Although the wind and heavy rain a quick tour around the garden make a lot of nice pictures. Maybe I must look more close by! 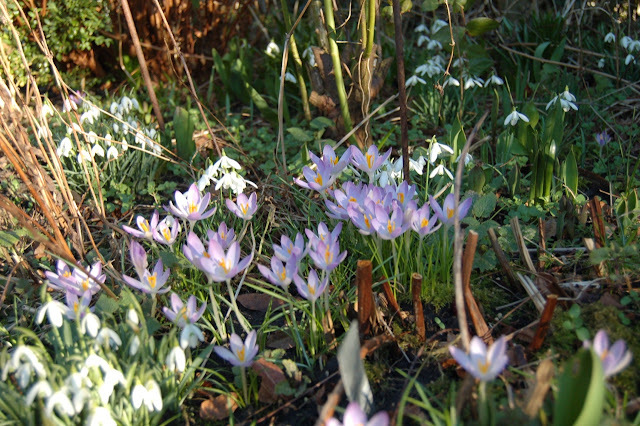 You find more stories about my garden in the blog archive. Groetjes from Holland. 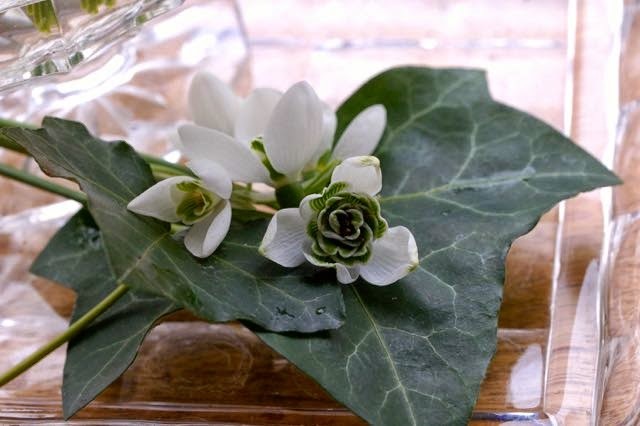 Have a nice Garden Bloggers Blooms Day! I have happy memories about the The Rolling Stones song Honky Tonk Woman. So when last October I spotted botanical tulips at the flower market, called “Honky Tonk”, I just had to buy these. Honky Tonk; a funny name for a tulip. Immediately the chorus of the song starts singing in my head…. After a winter of waiting (and singing), the tulips are in bloom. Alas, …….it is not tulip Honky Tonk I planted! The tulips are bright pink, whilst Honky Tonk tulips should be a soft yellow. I realise, all that singing was for nothing, ………..or? The gardener of Cinque Terre. The gate squeaks as we leave the hotel early in the morning. Without breakfast, without coffee, but with sturdy walking shoes (!) on our feet. The sun is already up and although it is still cool, you feel that it is going to be a warm day. 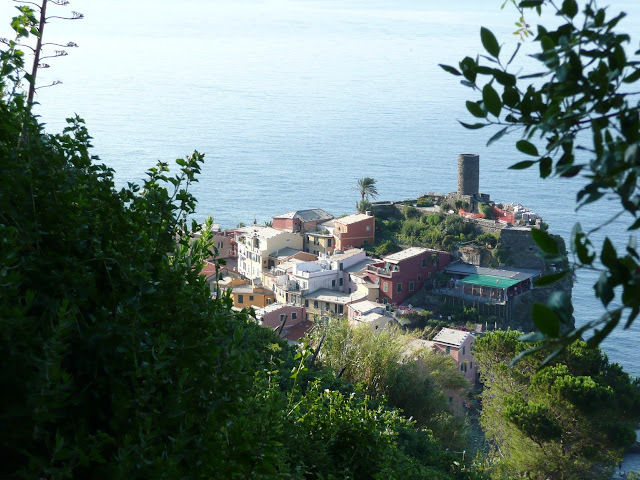 The hike from Monterossa al Mare to Vernazza is 3.5 km long. During the day the path will be crowded with people, but early in the morning the path is abandoned. The path is narrow and winds high above the sea from one village to another. The views are spectacular. Last week we were driving along a field of opium poppies (Papaver somniferum). It looked amazing. 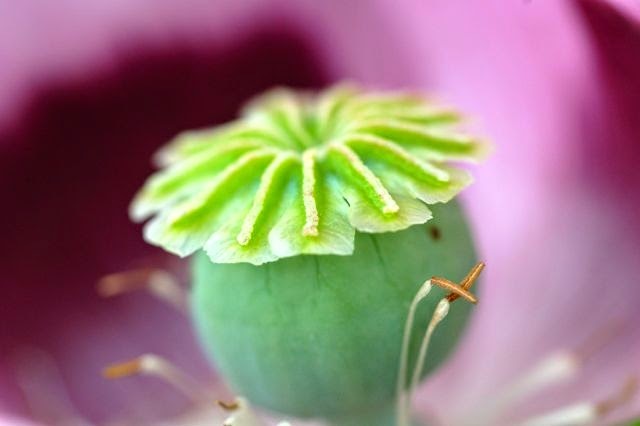 Mind you the Papaver seeds are grown to decorate bread, not to make opium out of it. We stopped to take some pictures. Made me think of the beautiful Papavers I have been growing in my picking garden. 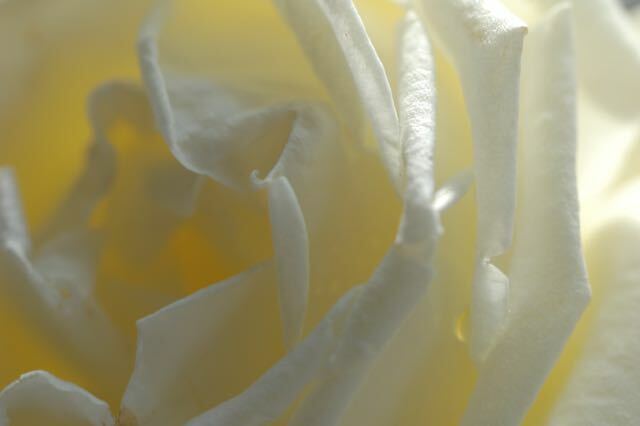 Below you can find some pictures I made of these flowers that are extreme double and deeply lobed. Some of them look like a ruffly pompom. At this moment the flowers are already fading and the seed heads are starting to dry out. Once the seeds are ripe, the little “shutters” on top of the pots open. With a little bit of wind the seeds will be shaken out of the pots. That is the nice thing about nature. Everything is ever so well thought-out, even in the smallest details. Five things not to do in February. Over the years I have learned a lot about gardening. I learned by trial and error. I consider myself to be an experienced gardener. With a clever understanding of things. I know you should not prune the roses on the first sunny day of the year. It still might be freezing. After all, it is February! I consider myself to be an experienced gardener. With a clever understanding of things. At the first sunny day of February you certainly should not mow the lawn. It is still too early to do so. It still might be freezing until the end of March. I consider myself to be an experienced gardener. With a clever understanding of things. And because I am an experienced gardener, I know the dry stems of perennials protect against frost. You should not cut these at this time of the year. I consider myself to be an experienced gardener. With a clever understanding of things. Will my garden statue become a tourist attraction? 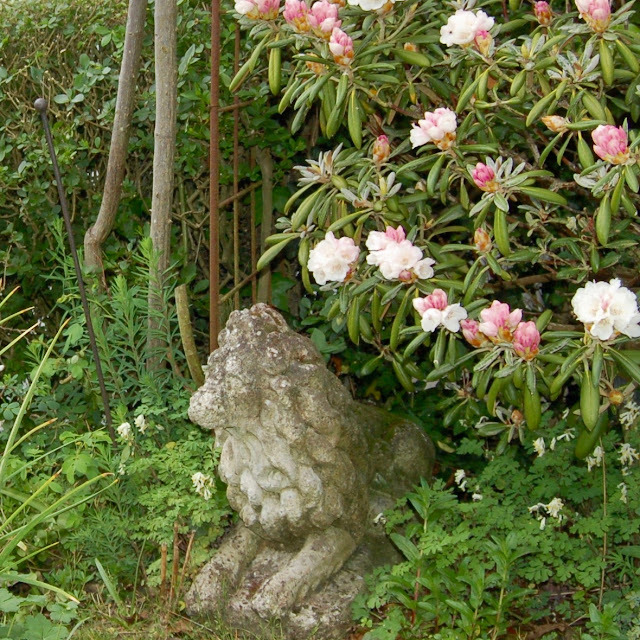 I have a small garden statue of a lion. All of a sudden it is damaged. The lion has lost its nose! How this happened nobody knows. Frost? Or is it just poor quality? I think it is the latter. Because when I bought this lion in a brocante store long ago, it already had lost his lower jaw. I did not mind, because without its lower jaw it looked a lot friendlier. Moreover, because of this flaw, it was attractively priced. The lion found its place on the terrace and it looked calm and satisfied with that. Until recently. Together my husband and I look out of the window at the lion. ‘What should I do with a lion without a jaw and without a nose?’ ‘Quickly buy a new one’, my husband suggests. 'But I do not want a new one'. My old lion has beautiful moss on its head. It takes decades before a new lion would have the same patina. To dispose of the lion altogether is neither an option. I am attached to my lion. But without a nose ... mmm is that still nice? On the hottest summer day of 2018 I see her on the edge of the fountain of hotel l'American. (Amsterdam) I am sitting in the tram, but don’t hesitate. I quickly leave the tram before she jumps into the water! Then I ask why she chose the blue colour. The answer is baffling as usual. She says, I actually wanted pink, but that colour was sold out. That's why I choose blue’. I picture myself at the hairdresser's. ‘Is my blonde colour out of stock? 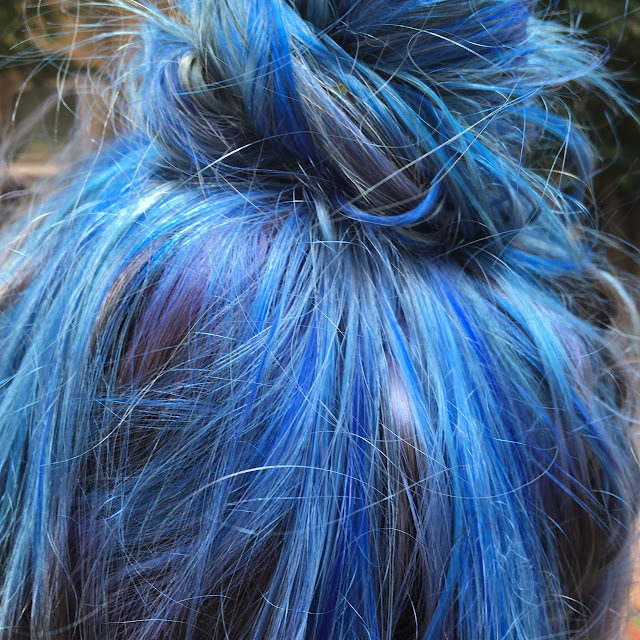 No problem, dye it blue'. Say yes to the shopping trolley. 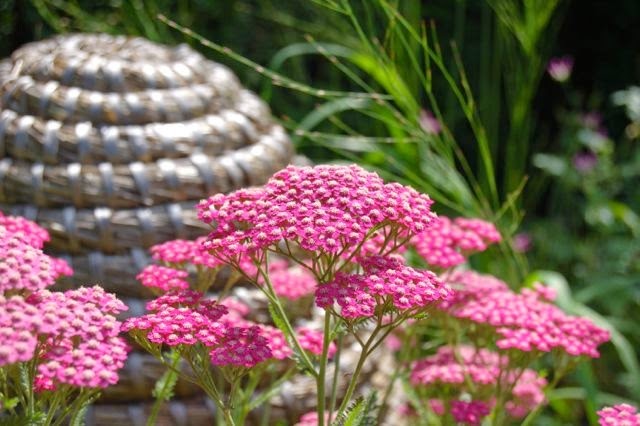 Hampton Court Flower Show is a fantastic experience for every gardener. Really, every garden item is for sale there. 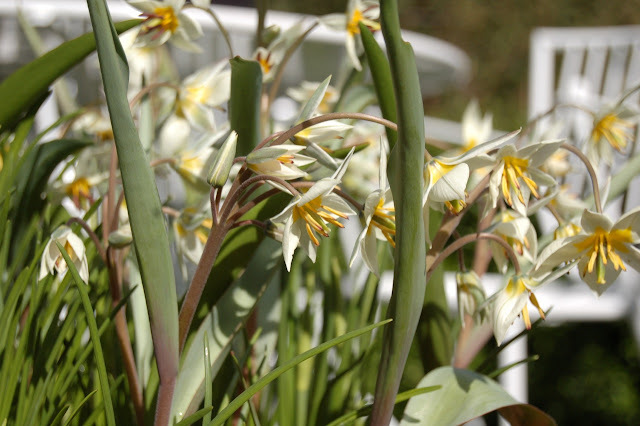 You will find show gardens for inspiration and you can buy many plants, including very special ones. AS you may have guessed this show takes place in the back garden of the Hampton Court Palace. The show grounds are huge. I want to buy a rose to remember this special event. So I go to the rose pavilion first. I ask for some advice from the people of Fryers-roses. The kind salesman shows me one rose after another. It is difficult to choose; all roses simply look beautiful. After long deliberation I decide to buy the white tea rose 'Silver Anniversary'. I can already picture it, one white rose in a vase. Trés Chic!